AZ Wholesale Water And Ice celebrate their 1st year anniversary as a member with the Lake Havasu Area Chamber of Commerce. 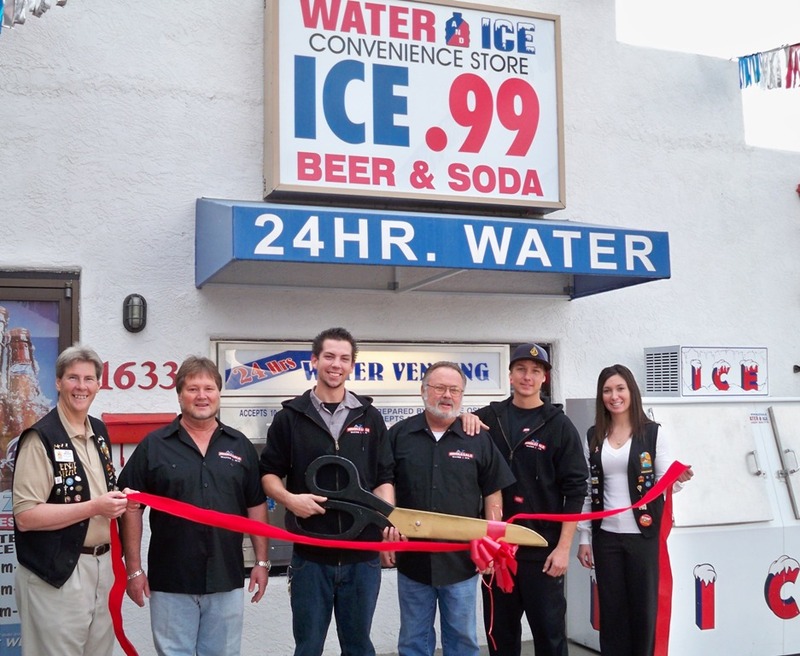 Since 1993 AZ Wholesale Water And Ice has excelled in providing the highest quality products matched with "Service Like The Old Days!" They have always been a family owned and operated business with deep roots supporting their truly amazing community of Lake Havasu City. 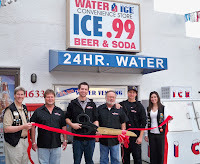 The pride of AZ Wholesale Water And Ice is its customers! They are the life blood of their business! "Their customers are the most important part of their business. Thank you for allowing us to be a part of this wonderful community! On hand for the ribbon cutting from left to right are; Chamber Ambassador Rick Broker, Lee Schaeffer, Zach McGee, Mike McInerny, Clay Connelly and Chamber Ambassador Crystal Alger.